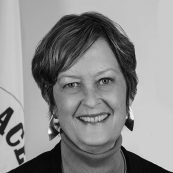 Dr. Josephine (Jody) Olsen, PhD, MSW, was sworn into office as the 20th Director of the Peace Corps in March 2018. She began her career as a Peace Corps Volunteer, serving in Tunisia from 1966–1968. She has since served the agency in multiple leadership positions—as Acting Director in 2009; Deputy Director from 2002–2009; Chief of Staff from 1989–1992; Regional Director, North Africa, Near East, Asia, Pacific from 1981–1984; and Country Director in Togo from 1979–1981. Prior to returning to the Peace Corps in 2018, Dr. Olsen served as Visiting Professor at the University of Maryland’s Baltimore School of Social Work and Director of the University’s Center for Global Education Initiatives. She also oversaw health research projects in Malawi while teaching courses on international social work, global social policy, and global women and children’s health. Throughout her career, Dr. Olsen has championed the expansion of service, learning, and international opportunities for Americans of all backgrounds.